Manuka honey… is it worth it? Recently, Costco started selling Manuka honey. Of course it caught my eye when I saw honey selling for $50 per 2.2 pound jar. So what is Manuka honey and is it worth the price? A majority of Manuka honey comes from New Zealand. The difference between manuka honey and other varieties of honey is that Manuka honey contains a higher amount of methylglyoxal (MG) and other "healing" components. MG is an antibacterial component that gives the honey a medicinal effect. The potency of Manuka honey is rated by the Unique Manuka Factor (UMF). A higher UMF score indicates a greater amount of MG and other components. At a minimum, for Manuka honey to be therapeutic, it needs to have a rating of UMF 10. 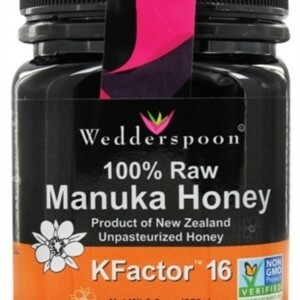 The Manuka honey that I purchased at Costco is produced by Wedderspoon. It advertises KFactor 75% Pollen Count, which measures the amount of Manuka pollen in each jar; however, I did not find a UMF rating. After doing some research about Manuka honey, one of the big takeaways is that Manuka honey is special in that high quality Manuka honey contains those higher levels of antibacterial components, as measured by the UMF rating. Another takeaway is that to fully reap the benefits of Manuka honey, consumers should purchase those with a minimum rating of UMF 10. The UMF certification and higher UMF score should be the premium that I pay for, not for the brand or other marketing advertisement. For comparison, another Costco location was selling Manuka honey with UMF 20+ for $99.99 per 8.8 oz jar. The fact that my jar was half the price and 4x the quantity makes me believe that the one I purchased has little to no medicinal potency. I’ll try to return the Wedderspoon jar as I don’t think it’s worth the money. If the Costco that I shop at starts selling the one with the UMF rating, I may purchase it. Nonetheless, as my first time trying Manuka honey, I would say that it is very different from the clover or wildflower honey that is readily available at the local grocery store. The texture is more smooth and creamy than regular honey, and doesn’t taste as sweet. It does have a stronger smell to it, which some have described as "earthy" but doesn't really affect the taste. It actually tastes pretty good and is definitely worth trying... but I personally don't see the justification of paying such a high price for a sweetener.